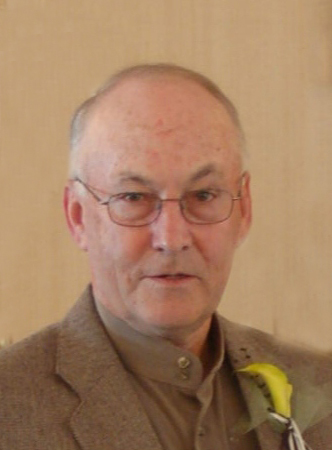 Clarence William Oberlander, 75, of Hazen, North Dakota passed away Friday, March 15, 2019 at his home. Services will be held at 10:00 AM CDT on Friday, March 22, 2019 at St. Matthew Lutheran Church, Hazen with Pastor Kirk Peters officiating. Burial will follow at St. Matthew Lutheran Cemetery, Hazen. Visitation will be held from 5:00 to 7:00 PM CDT on Thursday at Barbot Funeral Home, Hazen. Clarence was born on October 16, 1943 north of Beulah, ND to William and Julinda (Sailer) Oberlander. He was baptized north of Beulah at Kronthal. When Clarence was seven years old, his family moved to a farm south of Hazen where Clarence lived his entire life. He was confirmed at St. Matthew Lutheran Church on June 16, 1957 and graduated from Hazen High School in 1961. Clarence took over the family farm in 1965 and farmed and ranched there until the day he died. He married Carol Unrath on June 16, 1967 and the couple had one son, Chadwell Dean. Clarence was very supportive of his family, especially his grandsons and niece and nephews. He loved watching his grandsons in all of their activities. Papa Clarence also took joy in having coffee and conversation with Natalie at the South Side Diner every morning. For many years, Clarence made it a point to attend the Jam Sessions in Hazen, which he greatly enjoyed. Clarence never had a bad thing to say about anyone and made the best of any situation. He was preceded in death by his parents, Bill and Linda and his grandparents.